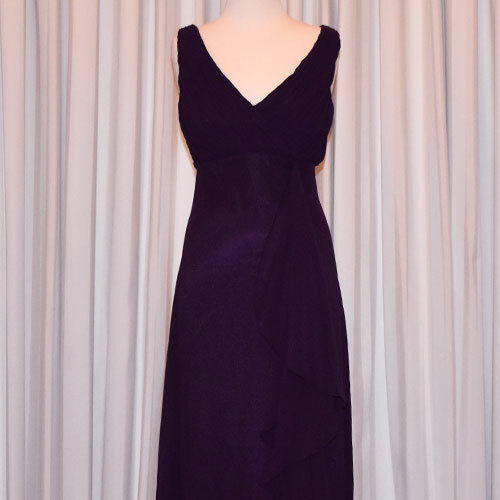 Gorgeous long purple gown featuring a cross over pleated bust and a front drape. This style is very flattering. It’s made from a quality chiffon which flows beautifully. This evening dress works beautifully with a brooch for an extra touch of glamour to enhance the drape. Perfect for any special occasion. Hurry last one!